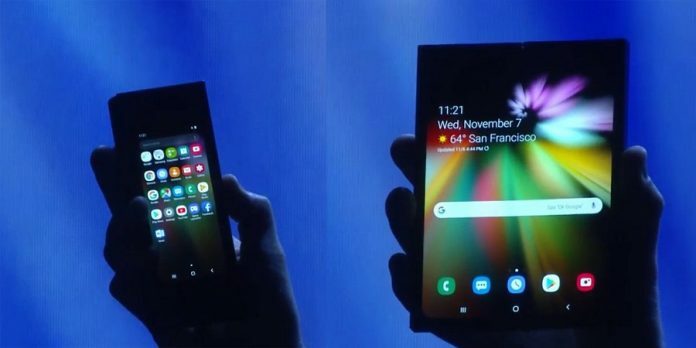 Samsung has been working on its foldable smartphone for years now, and today the tech giant finally showed off the fruits of its labor for the whole world to see. The company’s senior vice president of mobile marketing, Justin Denison presented a prototype of the phone during a keynote at the Samsung Developer Conference. The device is a 7.3-inch tablet when fully opened which becomes a phone when it’s closed. It uses a new foldable display technology that Samsung calls Infinity Flex Display. The mobile device has a secondary display, which is situated on the outside and is accessible in folded mode. The whole shenanigan is supported by Samsung’s new One UI experience which allows for seamless transitions from the smaller display to the larger display. One UI is Samsung’s new smartphone interface which features a clean minimal design and makes it even easier to use your phone in one-handed mode. Denison also explained that up to three apps will be able to run simultaneously on the phone thanks to a new software feature called multi-active window. Two apps will be displayed inside when you open the phone, while the third one will run on the outside display. When will be able to buy it? 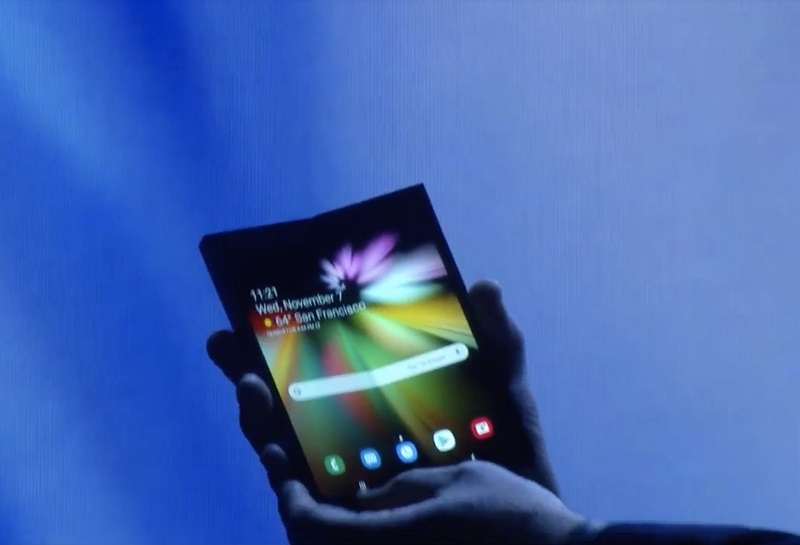 While Denison briefly showed the device on stage, Samsung’s foldable smartphone is not yet ready for prime-time. The company says it will be able to start mass production of the displays in a few months. So at this point we don’t really know when the consumer-ready device will land on the market. But a finished device might show up at the CES expo in Las Vegas early next year. Hopefully, it will be soon because this budding niche is bound to get competitive fast. Actually, the first foldable smartphone has already been launched by a little-known startup hailing from California. Called Royole, the company is already taking pre-orders for their FlexPai bendable smartphone. On top of that, other big players in the mobile space like Huawei, Xiaomi and LG are working on their own flexible display prototypes too. So we expect 2019 to be quite a bendy year in terms of smartphones.